According to one forecast, the stem cell market will grow at an annual rate of 9.2% and attain a value of almost $16 billion by 2025. This prediction, from a 2017 study by Grand View Research, may not justify any career- or life-altering decisions—not by itself. It does correlate, however, with figures showing consistent growth in the volume of published research. Because these market research results and bibliometric figures support each other, their common implication—high year-on-year growth in the stem cell market—seems reasonably certain. Much of the stem cell market’s growth comes from the development and manufacture of stem cell therapeutic products. In this segment, the challenge is—and always will be—manufacturing at scales commensurate with profitability. Stem cell therapies, in particular, face the extraordinary challenge of producing from undifferentiated cells a product that is completely matured into the desired therapeutic cell lineage. GE Healthcare’s involvement in stem cell production dates from the industry’s earliest days. 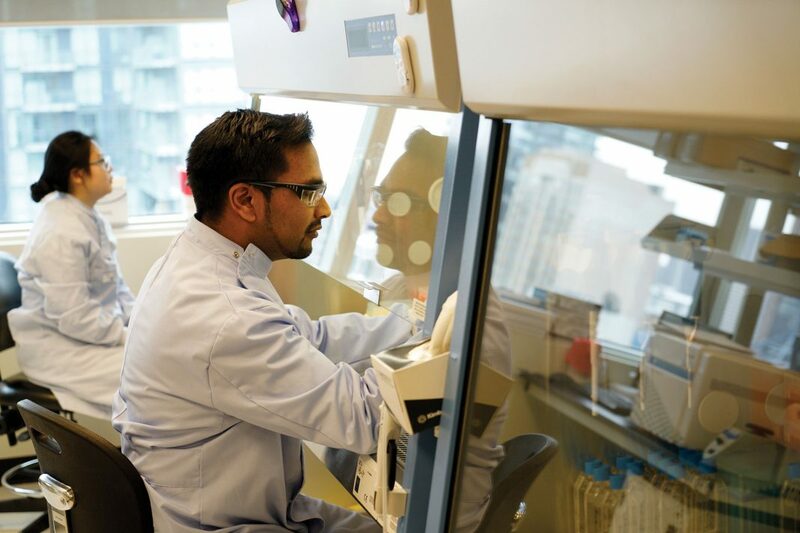 In January 2016, GE Healthcare contributed to a $40 million investment in the Toronto-based Centre for Commercialization of Regenerative Medicine (CCRM). Later that year, in April, GE Ventures teamed with the Mayo Clinic to launch Vitruvian Networks, which provides software for producers of cell-based therapies. A few months later, in August, GE Healthcare acquired the Biosafe Group, whose specialty was cell and cord blood bioprocessing. In April 2017, GE Healthcare acquired Asymptote, a cryogenic processing company, and announced a partnership with the Cellular Biomedicine Group to develop chimeric antigen receptor T cell (CAR-T) and stem cell production technologies. In October 2017, the company opened its first 3D printing laboratory in Uppsala, Sweden. Thus, GE Healthcare thus covers quite a few bases in the cell therapy marketplace, in addition to maintaining its eminence in traditional bioprocessing. To define those manufacturing needs, he continues, companies must select their target indication(s) carefully and estimate the associated market demand and anticipated market penetration. Companies that accomplish these tasks, Dr. Dulgar-Tulloch suggests, can more readily define which dose levels and manufacturing strategies would be most appropriate. For stem cell manufacturers, the 800-pound gorilla in the room is the cost of treatment, which will almost certainly be phenomenal. Who will pay it? Instead of the traditional pharmaceutical business model that begins with the molecule and ends with the patient, developers of stem cell therapies must focus first on reimbursement and work backward toward the engineering, then determine if the biology is ready. 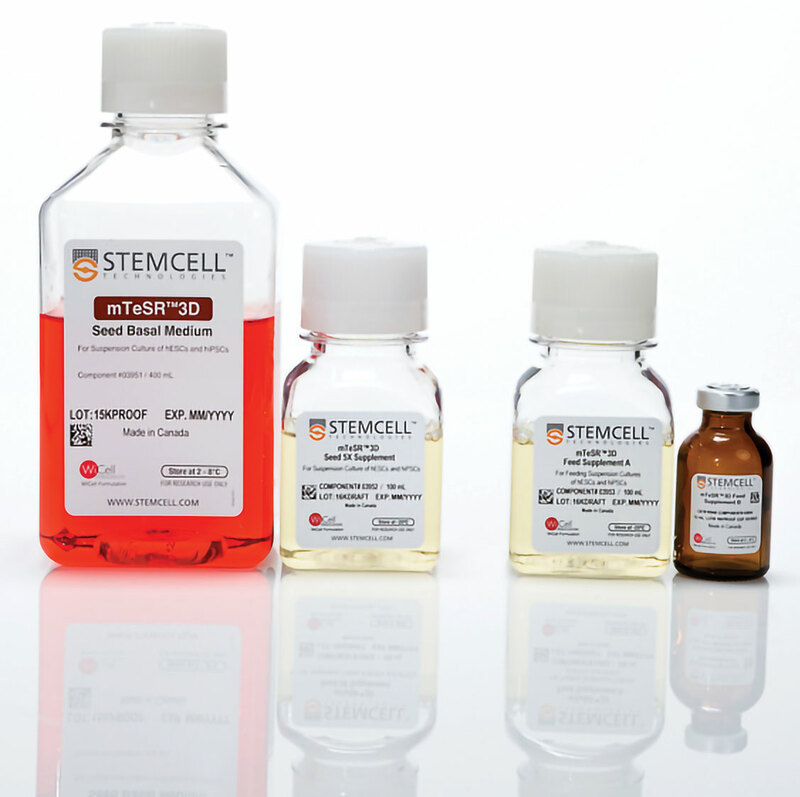 StemCell Technologies develops specialized cell culture media and reagents and supplies these products to virtually every significant player in stem cell therapeutics. StemCell Technologies’ success in this segment, Dr. Jervis suggests, is due to the company’s focus on product quality and consistency. Specialty media and feed supplements, such as those provided by StemCell Technologies, may help industrialize stem cell processes. In a 2010 review of stem cell manufacturing challenges, Jon Rowley, Ph.D., founder of RoosterBio, compares the biomanufacturing of stem cell therapeutics with the production of therapeutic proteins. As with protein production, stem cell processes consist of upstream and downstream operations. Upstream steps include cell acquisition and isolation, cell bank creation, and expansion through appropriate culturing methods. Among the downstream steps are harvesting, purification, formulation, filling, biopreservation, and packaging. Analogously, manufacturers have all the same concerns about quality, consistency, scale, and bioprocess economics. 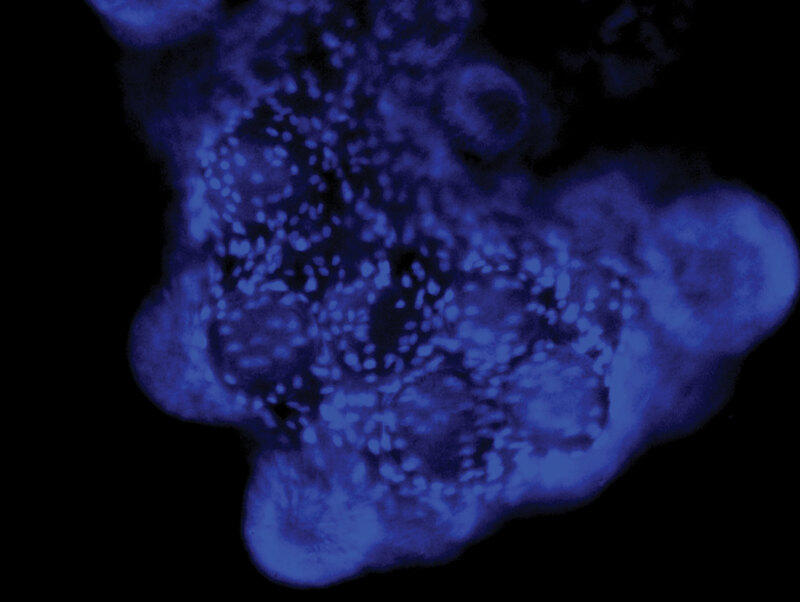 Scale becomes critical for stem cell manufacturing due to the unique challenges of maintaining stem cell functional potency within the constraints of dosages and maximum batch sizes. Pluripotent stem cells (both embryonic stem cells and induced pluripotent stem cells) have quite lengthy expansion and differentiation processes, which frequently translate into impractical cost of goods. “This is not to say that these cells won’t make it into commercial products,” Dr. Rowley tells GEN. “But there will need to be manufacturing innovations focused on radically shortening the manufacturing processes of these uniquely potent cell products. Such innovations could yield 10- to 100-fold reductions in cost. If you want to succeed in the regenerative medicine business, you need a strong patent portfolio, one that covers therapeutic indications, stem cell types, and processes for manufacturing stem cells. This advice isn’t lost on Pluristem Therapeutics, an Israeli firm that uses placental cells to develop biotherapies. In April 2017, Pluristem received its 100th patent. At the time, the company had another hundred pending. Coverage of Pluristem’s intellectual property encompasses its own placental expanded (PLX) cells, therapeutic products containing them, methods of expanding and harvesting the cells, applications, and devices related to cell production. Pluristem recognizes that cell therapies will become widely available only if the stem cell industry achieves a key goal: the control and automation of stem cell culture. To help the industry reach toward this goal, Pluristem is working on innovative products such as the PLX Bioreactor system, a 3D platform that uses Eppendorf’s Fibra-Cel carrier discs in a packed-bed configuration. These discs, which consist of nonwoven polyester, create a 3D growth environment for cells. “To transform stem cell therapy into an industry, companies must have several elements in place and interlinked, with the ability to scale up stem cell processes as needed,” says Lior Raviv, vice president of development at Pluristem. Those elements include a potent cell source, the capability to produce trillions of high-quality cells per year, reproducibility in a closed process, and low cost of goods. The allogeneic/autologous decision is particularly critical. In autologous products, donor cells treat only the donor, so scaleup is not an issue beyond the need for a cell number sufficient for treatment, which is typically hundreds of millions of cells. “Scaling up for autologous treatments is more about scaling facility capacities to handle multiple batches at a time,” Raviv adds. With allogeneic products, the issue becomes scaling the process to millions of doses per batch. Here the cells’ proliferative ability and doubling limits come into play. Raviv notes that different stem cells possess different proliferation capacities, which determine when they lose potency, reach senescence, or mutate. Another benefit of efficient scaleup is a reduction in the number of batches required to meet market demand. Scaling up stem cell manufacturing will involve process analytic technologies that improve process control, reduce human factors, minimize infrastructure needs, and improve batch-to-batch consistency—all leading to manageable cost of goods. The process failure risks with stem cell manufacturing is grappling are reminiscent of those faced by protein biotech not too long ago: batch failure and a lack of supporting technology, particularly downstream. To mitigate these risks, Raviv argues, processes need to be simplified, with implementation of fail-safe checkpoints and controls. Stem cell culture presents challenges that differ from those encountered during the expansion of mammalian, bacterial, and insect cells. Apart from issues of maintaining an appropriate stage of differentiation, stem cells and related cells are the product, whereas CHO cells, for example, merely constitute an expression system. The production of therapeutic cells is still in its nascent phase, at a stage of manufacturability reminiscent of monoclonal antibodies 25 years ago. Could media and feed once again be the secret, the knight in shining armor, that renders moot issues of scalability and manufacturability for stem cells? Randall Alfano, Ph.D., vice president for product development at InVitria, believes that media and feed could affect improvements for primary and stem cell cultures similar to those realized for CHO cultures. InVitria recently launched a media formulation service based on the company’s portfolio of animal-free media supplements, which are proteins expressed in plants. The lead products, albumin and transferrin, are typically added to mammalian cell culture media at levels up to 1 g/L.